September 20th, 2012 marks the beginning of the 10th Lord of Miracles tour and a decade of service and friendship with the global community. Each year, inspired by the grace and service of Guru Ram Das, we travel the world with a mission to uplift, heal, inspire, and connect with our brothers and sisters across the globe. We will be teaching Kundalini yoga, yogic breath, and humanology, and sharing the power and understanding of the Shabd Guru. As we were blessed to learn this technology from our teacher, Siri Singh Sahib Bhai Sahib Harbhajan Singh Khalsa Yogi Ji, we are now humbly blessed to travel and share, in our capacity, as he did for us. 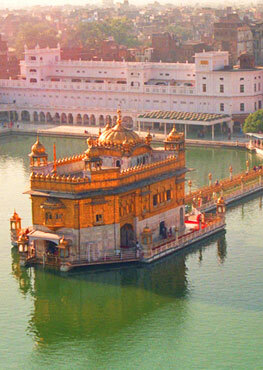 Although millions of south americans are already discovering these teachings and incorporating daily sadhana, weekly gurudwara, gurbani kirtan, and langar initiatives into their lives, it is very important that we represent sikh dharma of the northern hemisphere and reach out and connect to our southern neighbors to build a unified sangat of khalsa, yogi's, and healers. The theme of this year's tour is "Maintaining a Steady Mind in a Changing World". In the following excerpt Yogi Bhajan talks about the role of the Shabd Guru in the 21st century. "Can you believe that a little chip can retain four billion memorable thoughts? And then what will happen is that the human will have to have the power to match up with that, even if we are unable to cope with the work. We always say there are fewer hours and more work. That's a common feeling we have. But actually what is going to happen is that there is going to be so much information, so much knowledge available that what they will say is every illiterate person will become absolutely wise and every wise person will become insane. That's how much knowledge there will be. So, how will you retain the balance? How will you cover the distance? How will you relax in life? That is where sophistication will come in. That is where the Shabd Guru will come in. An intermediary will not be needed. 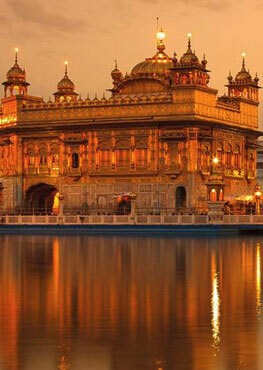 A person will read the permutation and combination of the sutras in the Siri Guru Granth Sahib. He will go through it and in other languages he will understand the meaning of what the Guru is saying. The tour is led by Singh Sahib Guru Bachan Singh of Albuquerque, New Mexico, who was first given this instruction by Yogi Ji over a decade ago. So far, 11 other members of the sangat will be taking part in this event. S.S. Gurubachan Kaur: Traveling to Mexico. Harimander Jot Singh: Traveling to Mexico. Hari Das Kaur (Chile): Traveling on entire Tour except for Mexico and Cuenca. Amrit Kaur (USA): Traveling to Asuncion, Salta, Jujuy, Buenos Aires, Montvideo, Belo Horizonte. Ram Das Singh (USA): Traveling from Mexico until Bogota. Sat Gurumukh Singh (USA): Traveling to Bogota, Valencia and San Salvador. Harimandir Kaur (USA): Traveling to Bogota, Valencia and San Salvador. Sucha Singh (Chile): Traveling to Asuncion, Salta, Jujuy, Buenos Aires. Sat Sansar Singh (Chile): Traveling to La Paz. or get updates via our Facebook page.